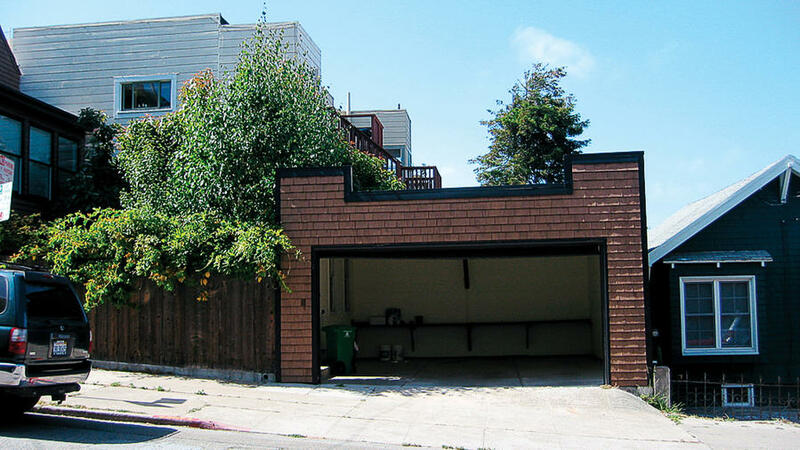 Reed Maltzman and Jennifer Gosselin had a two-car garage off of their house in San Francisco, but they needed space for people, not cars. 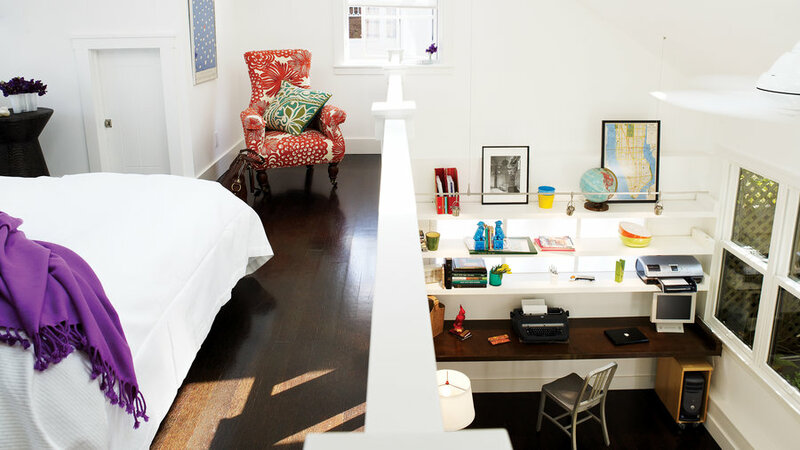 So the couple enlisted Maltzman’s childhood friend, architect Jonathan Feldman, to transform half of the detached structure into this 400-square-foot guest room and office. “It’s small, but we’ve all found a different use for it when guests aren’t visiting,” says Maltzman, a fifth-grade teacher. He uses it as a quiet getaway where he can grade papers; 4- year-old Max has claimed the closet as a favorite hiding place; and Gosselin prefers the loft for napping. They used Smith & Fong’s Durapalm for the flooring and added a dark stain. The plantation-grown coconut palm is relatively inexpensive and hardwearing. 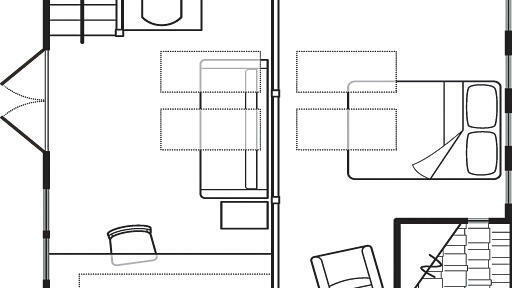 Architect Jonathan Feldman increased livable space ― but not the home’s footprint ― by smartly reconfiguring an existing structure. Replacing the flat roof with a gabled one created space for the loft, which sits above the garage’s remaining parking spot. The couple wanted to take advantage of some roof space for the loft bedroom. It has more privacy, and there’s a nice separation if one is working at the desk below. It also allows for a messy bed to be kept out of sight. 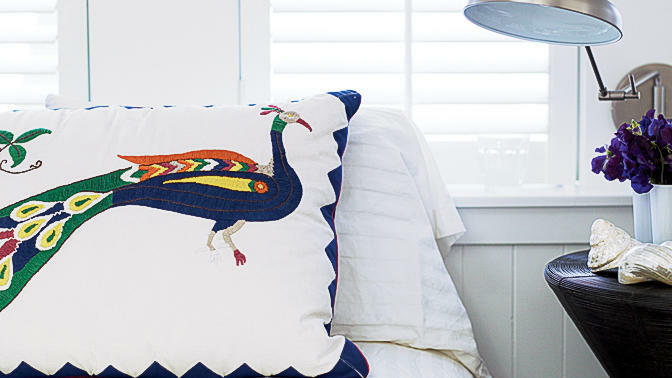 The makeover was less costly than a new addition. 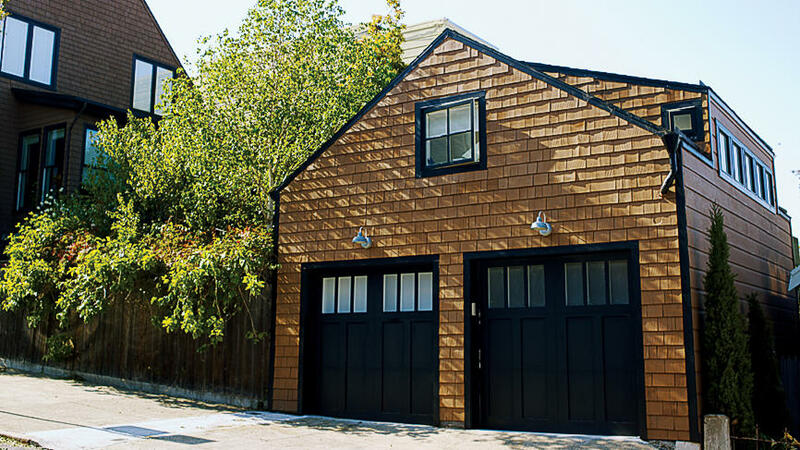 "We had to re-create a roof, float a wood floor over the existing garage ceiling, add a bathroom, frame new openings, and give it a seismic upgrade ― but that’s pennies on the dollar compared to building new," says architect Feldman. 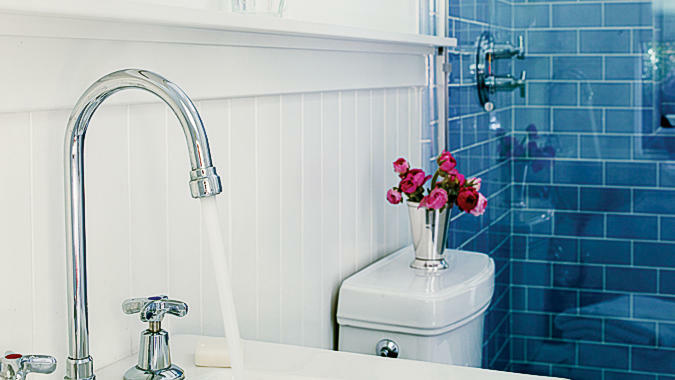 In the bathroom, blue tile and colorful accessories pop against an all white interior. It’s a small space, so San Francisco–based interior designer Lisa Lougee (415/252-1100) kept it light and airy with white walls. She added color with bright accessories flea-market finds.